Prisons used in moderation serve as a useful tool for society. Used in excess, however, prisons lose their potency. 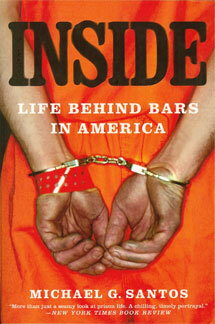 I was convicted of a nonviolent crime in 1987 and I have been in prison ever since. My adjustment has made me better qualified to offer positive contributions to society, though I do not attribute my adjustment to the prison system. The inspiration for my adjustment has different roots. As the Pew Report shows, 1 in 31 Americans serve under the authority of the criminal justice system. Prisons are not changing these people for the better. Congress has reported on the high recidivism rates that make this clear. We need prison reform to change these dismal results. By blocking prisoners from nurturing strong family ties, policies in the prison condition the perpetuating cycles of failure. Rather than restricting access to telephone, visiting, and e-mail, administrators ought to encourage prisoners to nurture family ties. Society pays the price with high recidivism rates when administrators hinder prisoners from connecting with family and positive role models. Prison administrators could encourage more offenders to reform and work toward law-abiding lives if they offered mechanisms through which prisoners could earn gradual increases in freedom. Such mechanisms have not existed in prisons where I have been held. All that has mattered has been the number of calendar pages that turned and the avoidance of disciplinary infractions. Such policies do not encourage money. This is the fundamental flaw that keeps both recidivism rates and prison operating costs high. Prison reforms that offer incentives can persuade more prisoners to adjust in positive ways.